A freebie on Friday. I’ve been so wrapped up in making stencils and Gelli play I’ve neglected my printables. As usual, I made this set for myself but I always share! 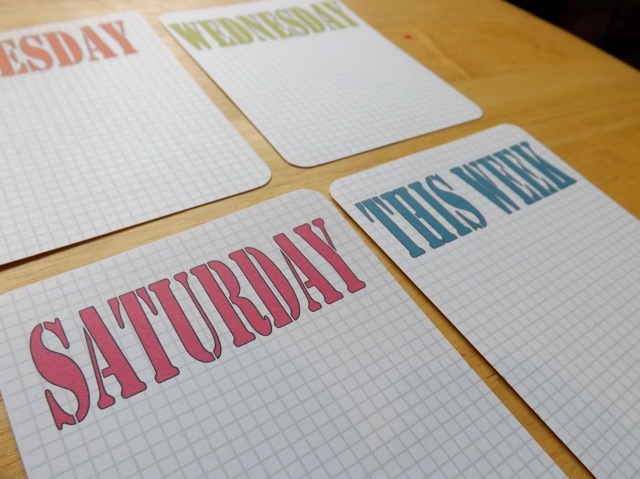 Very simple – 3 x 4 grids with stencilled days of the week words. It’s hard to see in the overall shot but the letters have a very thin outline to define them a bit better – maybe you can see it here better? I may make them in the landscape orientation and if I do, will add them, but as my PL album is all portrait orientation that is how I tend to make them! It’s very easy to scale them to the 2.5 x 3.5 size for ME, but rotating the layers takes more time. 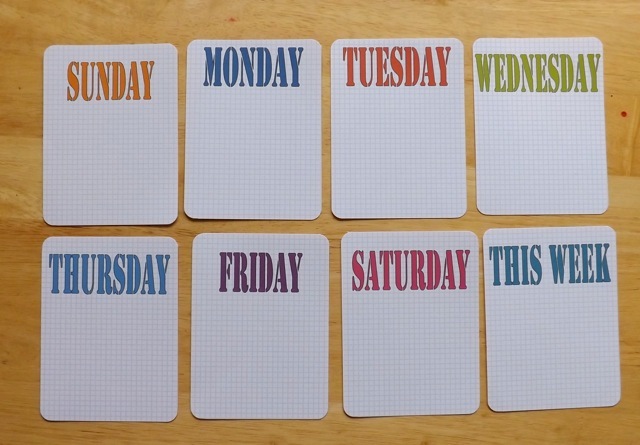 One PDF, with all the days of the week plus a THIS WEEK card.